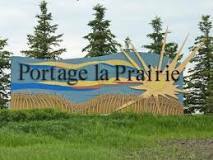 Portage la Prairie participated in the WHO Age-Friendly Cities Project in 2006, and has had an active Age-Friendly Committee since 2008. The committee is appointed by the City of Portage la Prairie and consists of representatives from local organizations, the regional health authority and City council. The Age-Friendly Committee of Portage la Prairie supports active and healthy aging, accessibility for all and participation in the community. The committee engages stakeholders in building an age-friendly community and advocates for people of all ages to be treated with respect. The Age-Friendly Committee of Portage la Prairie advises and advocates for a safe and accessible community, affordable housing, and active participation in the community. Our current projects include spreading awareness of Age-Friendly values, a business certification program, advocating for seniors housing to allow pets, and participating in focus groups looking at development and renewal of new infrastructure within the city.